Adenomyosis is a condition characterized by pelvic pain and heavy bleeding. Until recently, it was thought to occur mostly in middle-aged women after having children. So why is this a topic for a pregnancy blog? Well, current research suggests that this condition could be silent or unknown in its early phases, which could mean it’s more prevalent in younger women than once believed. It is being diagnosed more frequently in women of childbearing age in recent years, perhaps due to advancements in imaging and minimally-invasive approaches to surgery. To understand how common adenomyosis is (or isn’t), one must understand how the diagnosis is made. Previously, the definitive diagnosis of adenomyosis was made with microscopic examination of the uterus, which would happen after hysterectomy (surgical removal of the uterus). It’s assumed that younger women who did not yet have children and who were seeking treatment for their symptoms would not choose to have a hysterectomy, since that would eliminate their chance of having children naturally. Therefore, adenomyosis was more commonly diagnosed in women after the age of 40 – presumably those who no longer wanted to conceive. 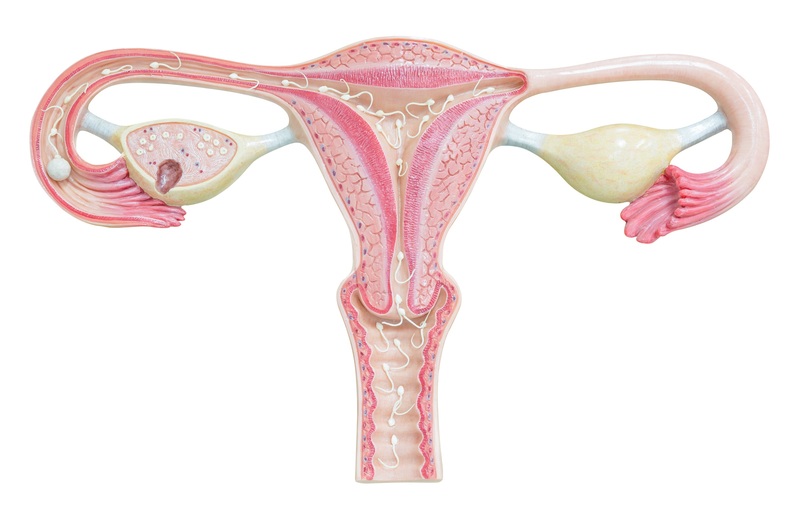 Another complicating factor is that adenomyosis can coexist with other diseases of the uterus, such as uterine fibroids or endometriosis. This makes it difficult to determine which problem is causing symptoms. Additionally, it’s possible that adenomyosis begins earlier in life but remains silent for years, so it isn’t diagnosed until it starts causing problems. For these reasons, the disease is not well understood. Fortunately, better imaging techniques are now available, such as magnetic resonance imaging (MRI) and transvaginal ultrasound (MRI is a type of imaging that uses magnets rather than radiation to take pictures, and you’re probably familiar with ultrasound and its use in pregnancy). These types of imaging can help confirm the diagnosis of adenomyosis without the need for hysterectomy or other surgery. Medical professionals are hopeful that better imaging and increased awareness of adenomyosis can help lead to a better understanding of the disease process. Considering how little is known about adenomyosis and the fact that is was previously only diagnosed by hysterectomy, the true numbers are difficult to pin down. But there is reason to believe it is more common than doctors previously thought. Taran FA. Adenomyosis: Epidemiology, Risk Factors, Clinical Phenotype and Surgical and Interventional Alternatives to Hysterectomy. Harada T. et al. The Impact of Adenomyosis on Women’s Fertility. What Is A Missed Miscarriage And How Is It Treated?